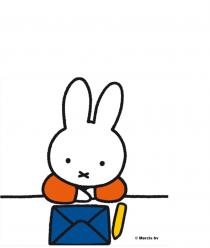 Miffy loves going to the seaside with her mother and father – it’s her favourite place to go at the weekend. 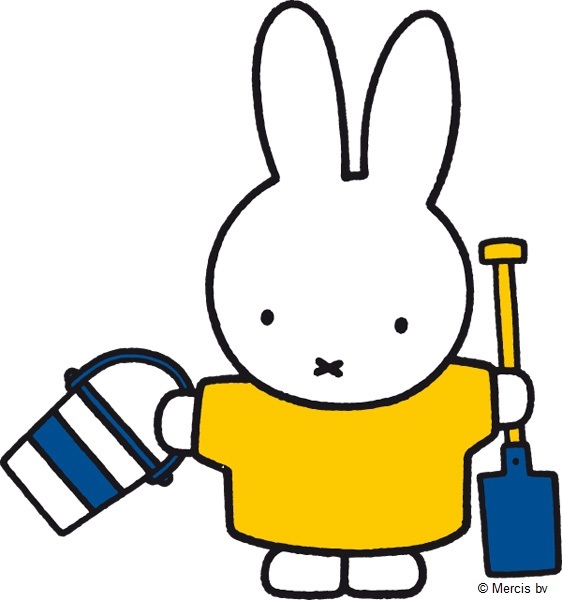 Always be prepared when you go to the beach – take a nice big bag with you to fit in all the things you need. Make sure to bring lots of sun cream so you don’t get burnt, and a hat to protect you from the sun too. Remember to bring your swimming costume and some arm bands so that little ones can paddle. After swimming, it’s best to dry yourself off with a big fluffy towel to make sure you don’t get cold – so don’t forget to pack one before you leave. It can get very windy at the seaside, so a windbreaker can come in handy. Staying at the beach for most of the day? Why not bring a picnic made up of all your favourite foods with you? Sandwiches and fruit are great beach food, but be careful not to get them covered in sand. Buckets and spades are perfect for carrying any pretty shells you might find along the beach as well as making sandcastles. If you want to play games at the beach, then don’t forget to bring them with you: a ball and bat are great for the whole family to play together. Swimming in the sea is one of the best things about going to the seaside. Parents should go with younger children when they’re in the water and keep an eye on children while they’re swimming. Playing catch is always good fun and will get the whole family together, or you could play Frisbee or maybe even play rounders with a soft bat and ball. Why not collect shells at the seaside: if the shells are big enough, you might even be able to hear the sea in them. If there is a pier, you could try crab fishing too. Lots of beach shops will sell crabbing lines and bait if you’ve forgotten yours. Don’t forget to put them back into the ocean once you’re done. 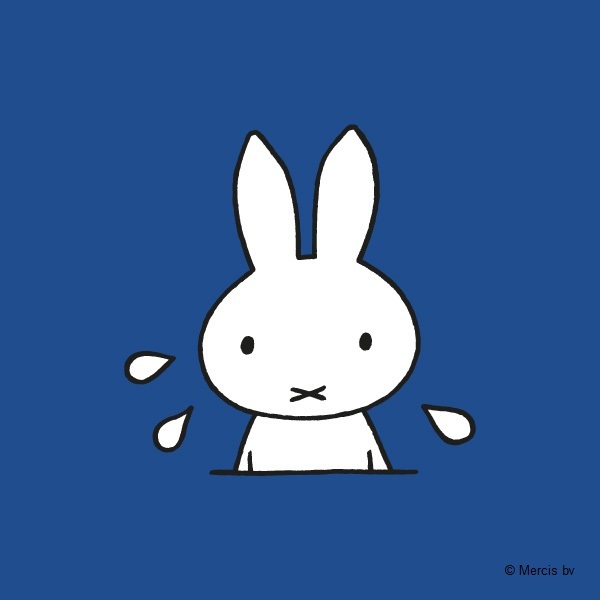 Now you’re all ready for a fun day out at the seaside with Miffy!